A huge bestseller in Europe, Frederic Lenoir’s Happiness is an exciting journey that examines how history’s greatest philosophers and religious figures have answered life’s most fundamental question: What is happiness and how do I achieve it? From the ancient Greeks on—from Aristotle, Plato, and Chuang Tzu to the Buddha, Jesus, and Muhammad; from Voltaire, Spinoza, and Schopenhauer to Kant, Freud, and even modern neuroscientists—Lenoir considers the idea that true and lasting happiness is indeed possible. · Do we have a duty to be happy? · Is there a connection between individual and collective happiness? · Is there a difference between pleasure and happiness? · Can unhappiness and happiness coexist? · Does our happiness depend on our luck? Understanding how civilization’s best minds have answered those questions, Lenoir suggests, not only makes for a fascinating reading experience, but also provides a way for us to see us how happiness, that most elusive of feelings, is attainable in our own lives. FRÉDÉRIC LENOIR is a philosopher, sociologist, and religious historian, and the author of numerous essays, books, and novels translated into over twenty languages. He is a professor at L’École des Hautes Études en Sciences Sociales, one of France’s elite universities, and is the editor of Le Monde des religions, a bimonthly magazine that is part of France’s leading newspaper, Le Monde. He is also the producer and host of the weekly program about religion and philosophy on France Culture radio. ANDREW BROWN’s most recent translations include works by Proust, Zola, Flaubert, Stendhal, Rabelais, and Baudelaire. “An entertaining and affable guide to the topic of happiness. Jacques Prévert once wrote that 'recognized happiness from the noise it made as it left.' Mr. Lenoir does his best to help us hear it as it arrives." “A brief though well-considered guide to a wide range of the many schools of thought regarding contentment, joy and happiness." 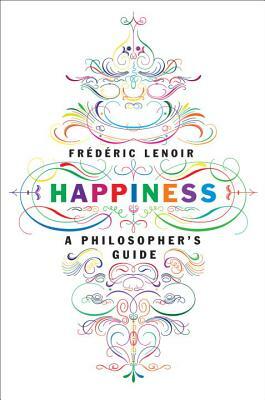 “Frédéric Lenoir's Happiness is a skillful, entertaining blend of philosophy and science that seeks to answer a question that thinkers have been posing for centuries: what does it mean to be happy? Happiness is a tough subject to tackle well. Frédéric Lenoir creates a journey that is as beautiful as it is thought-provoking."